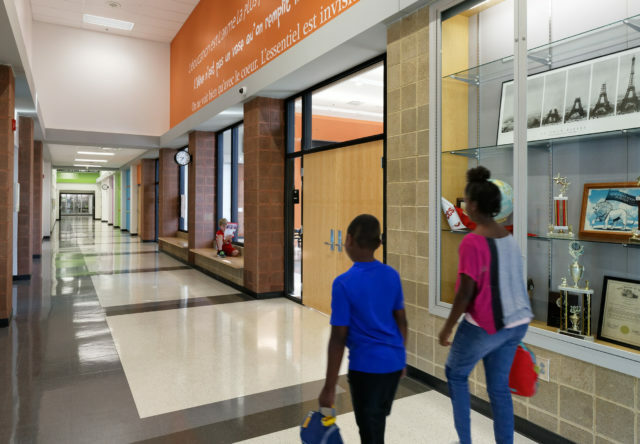 The new Ecole Kenwood Elementary School allows students to explore language through a variety of learning styles. 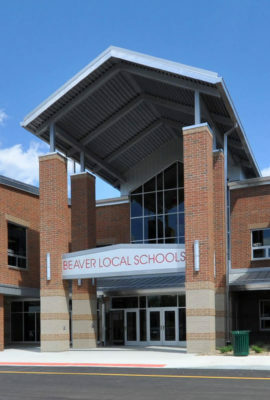 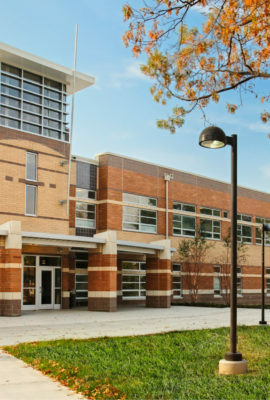 This replacement school is located on the same urban site as the previous school. 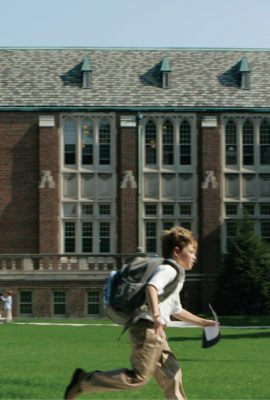 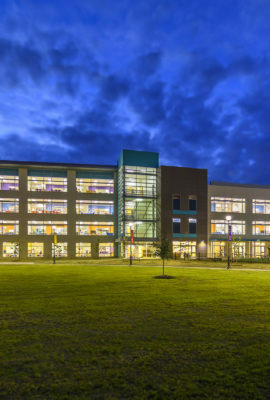 A main street-like flex studio serves as the organizing spine of each of the building’s academic neighborhoods, supporting individual exploration, group work and presentations. 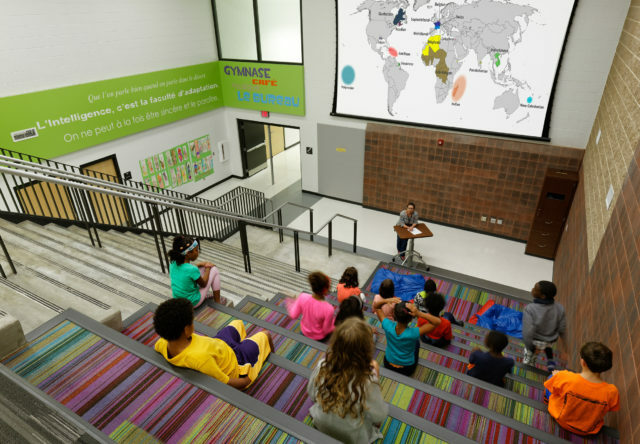 The design meets the challenges of the constricted site while fully supporting the school’s pre-kindergarten through sixth grade French language immersion program with custom signage, teacher-selected quote walls and built-in displays. 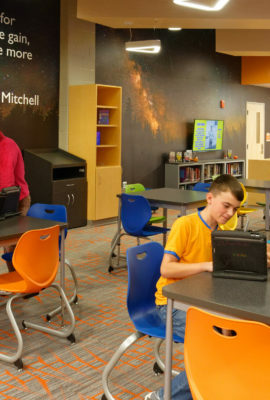 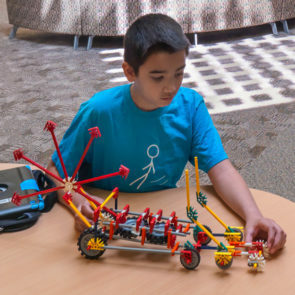 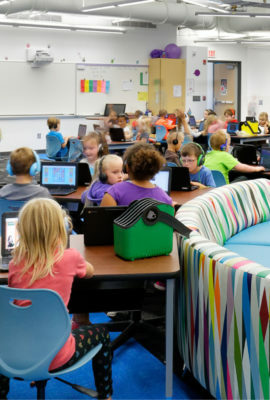 The main street-like flex studio is the organizing spine of each neighborhood, supporting individual exploration, group work and presentations. 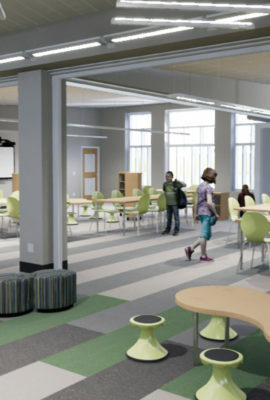 The core of the school is the Gathering Stair, where students gather for presentations, group work or lecture. 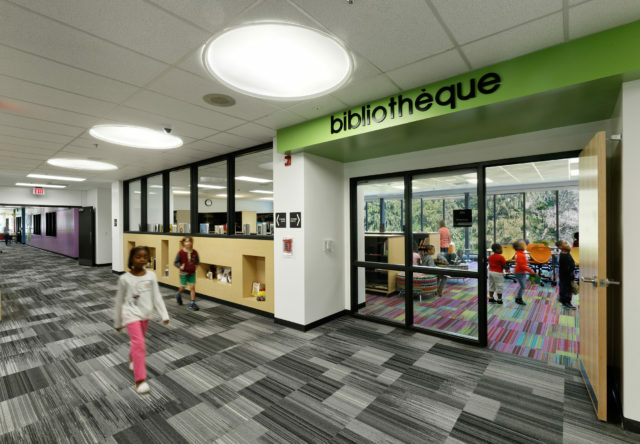 The bibliotheque is the hub of the second floor and connects to the Gathering Stair balcony. 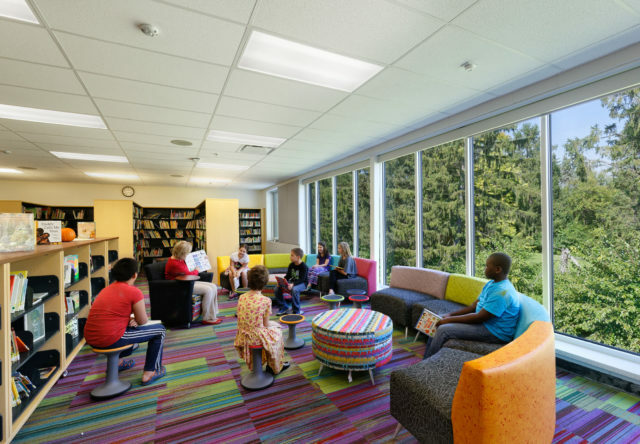 Group areas within the bibliotheque encourage collaboration in an inspiring setting. 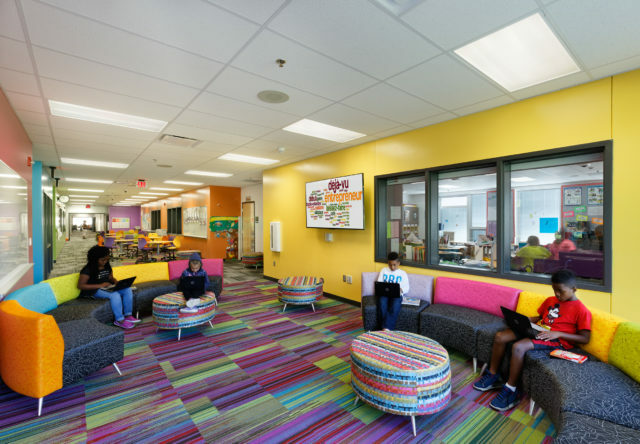 Colorful carpet patterns provide visual demarcation of collaboration space. 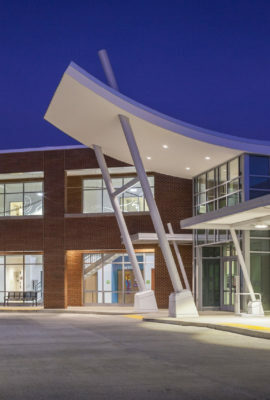 A bright and vibrant Welcome Center establishes Ecole Kenwood as a vital part of the local community. 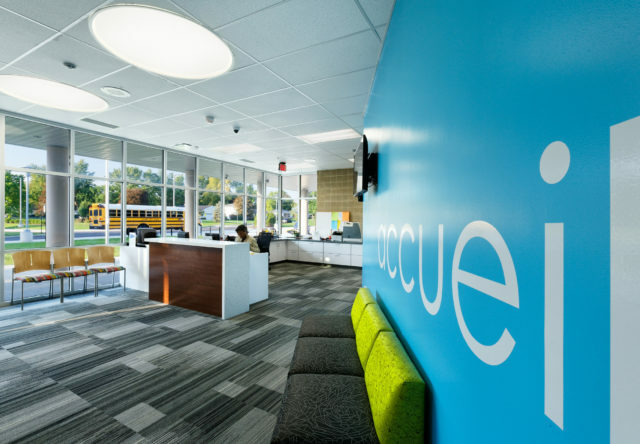 The design celebrates student work and the French curriculum with custom signage, teacher-selected quote walls and built-in displays. 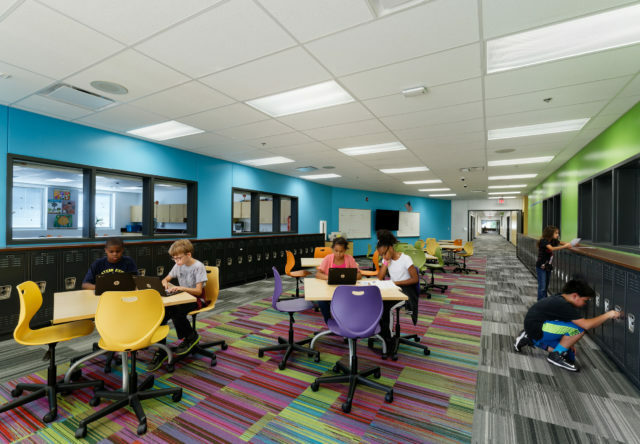 Fanning Howey designed a building that is more than a 21st century learning environment. 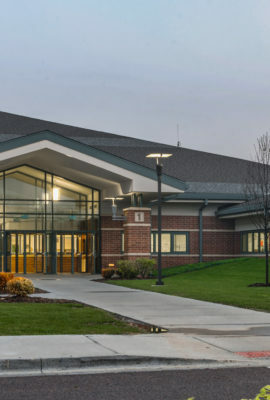 It projects an image that engages the community to continue to support our program for the upgrading and replacement of more of our facilities.